Solve your storage issues and keep your childs belongings organized with the beautiful Graco 3 Drawer Dresser. With classic design elements and framed drawer detailing, the Graco Dresser is designed to match any Graco crib yet versatile enough to complement other furniture in your home. The Graco 3 Drawer Dresser features three spacious drawers with euro-glide drawer tracks and safety stops to help keep the drawers secure and in place. The Graco dresser is compliant to anti-tipping standards for your childs safety. Constructed with quality pine wood and composites and featuring durable steel drawer hardware, this Graco dresser is built to last and provide years of use. Complete your childs room with the Graco 3 Drawer Dresser and choose between multiple safe, non-toxic finishes to coordinate with any dicor in the home. 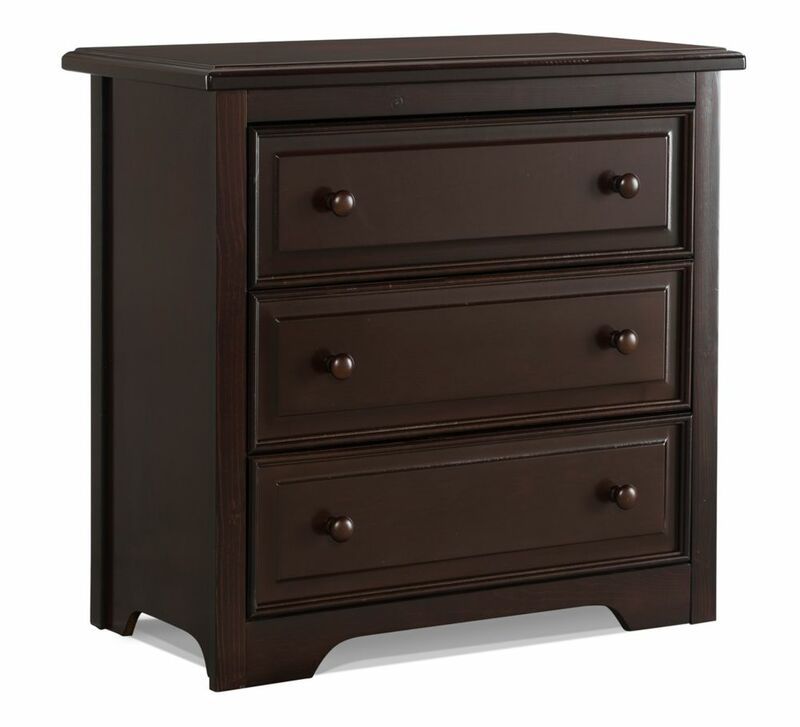 Brooklyn 3 Drawer - Espresso Solve your storage issues and keep your childs belongings organized with the beautiful Graco 3 Drawer Dresser. With classic design elements and framed drawer detailing, the Graco Dresser is designed to match any Graco crib yet versatile enough to complement other furniture in your home. The Graco 3 Drawer Dresser features three spacious drawers with euro-glide drawer tracks and safety stops to help keep the drawers secure and in place. The Graco dresser is compliant to anti-tipping standards for your childs safety. Constructed with quality pine wood and composites and featuring durable steel drawer hardware, this Graco dresser is built to last and provide years of use. Complete your childs room with the Graco 3 Drawer Dresser and choose between multiple safe, non-toxic finishes to coordinate with any dicor in the home.